EZ match from Gold Toe makes matching up kids' socks as EZ as 1-2-3. The number of gold rings on the toe tells the size. 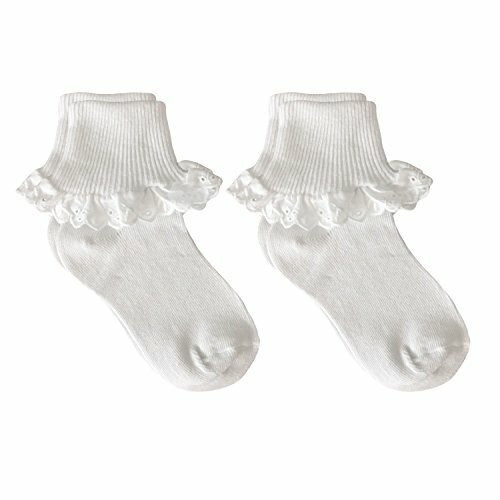 Get your little girl a practical sock pack from the brand you trust with the Hanes toddler girls' turn-cuff socks, 6-pack. 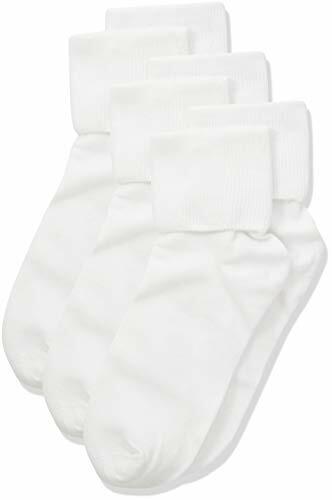 Made of stretchy cotton blend fabric and accented with comfortable elastic, these comfortable turn-cuff socks are a smart buy for your little one choose from assorted colors and prints. Our cotton rich turncuff socks are made with the softest fibers and feature exquisite venice lace trim. Perfectly finished with a satin ribbon streamer and pearl embellishment. Perfect for pairing with dresses for that extra special occasion. 80% Cotton. Machine Wash. Imported. 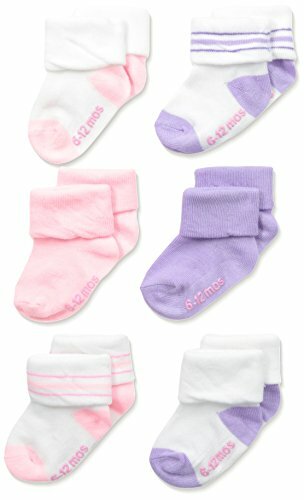 These adorable turn-cuff socks are a great accessory to complete your princess outfits! These socks are designed with non-skid bottom to prevent slipping while exploring the world. 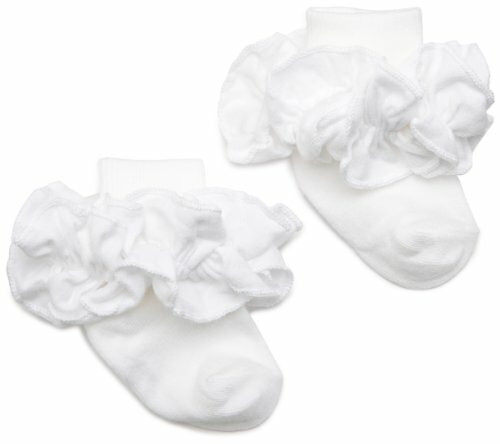 Made from super soft cotton blend, these socks are gentle on baby's skin, but durable and machine washable for everyday use. 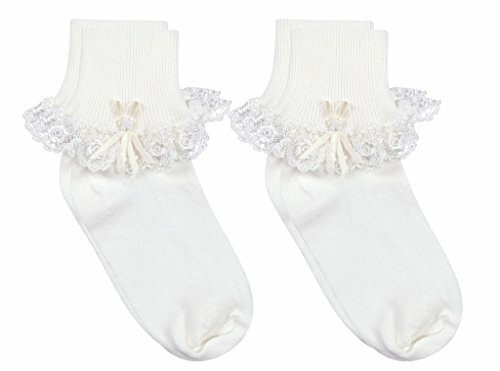 Decorated with knitted patterns and ruffled lace trim, these socks look great with any dress/shoe for any holiday. Comes in a 6-pair-pack with 3 assorted colors. Perfect for toddler girls. 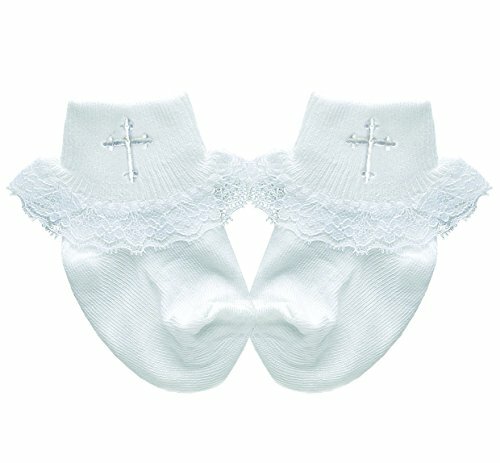 Our cotton rich socks are made with the softest fibers and feature a beautiful matching embroidered cross applique on the cuff. Trimmed with lace ruffles for a dressy look. Perfect for pairing with dresses for christenings, baptisms, communion, weddings, church and other special occasions. 80% Cotton. Machine Wash. Imported. 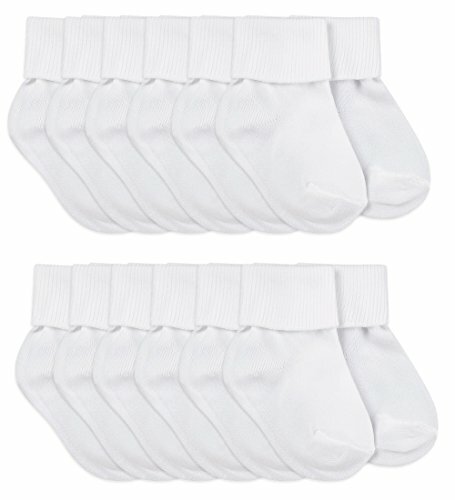 Jefferies socks boys and girls classic white nylon turn cuff socks are perfect for all ages! 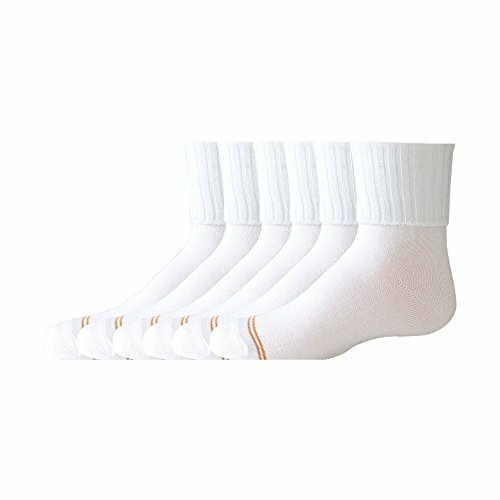 These socks feature knit nylon that provides softness and durability, ribbed turn cuff for snug fit and comfortable all day wear. This 12 pack is specially packaged for a great price and value. Perfect to pair with cute dress outfits, holidays, church, school, uniforms, special events, dress shoes, playing, casual wear, and everyday. Nylon turn cuffs can be worn cuffed as shown in the photo or uncuffed to be worn as a crew sock. 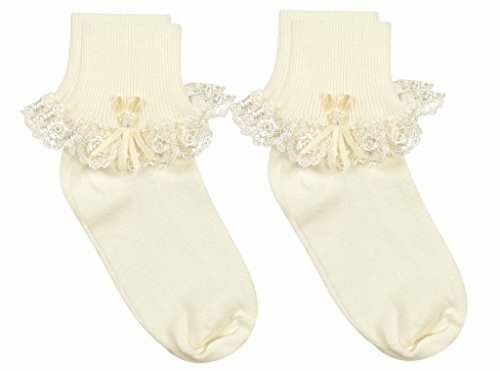 A two pair pack of cotton turncuff socks made with the softest fibers and beautiful lace trim. Featuring fancy embroidered eyelet trim around the cuff. Perfect for pairing with dresses and skirts for every day and special occasions. 80% Cotton. Machine Wash. Imported.